The Tacketts » The Tacketts Earn First #1 Song!! The Tacketts Earn First #1 Song!! 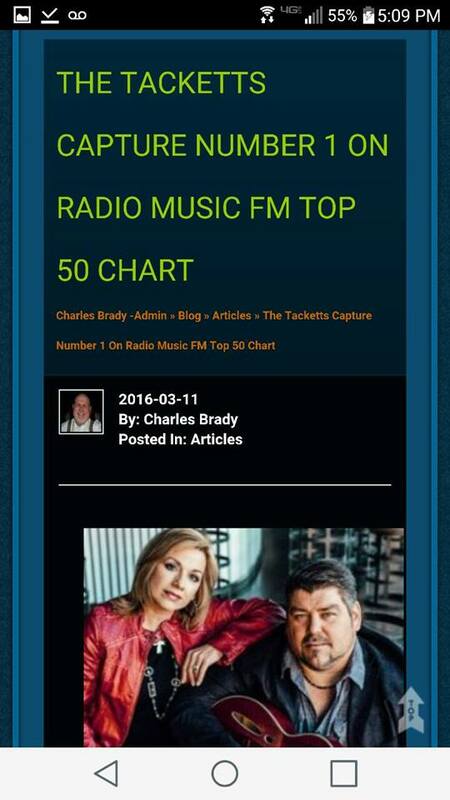 The Tacketts are honored to share that our latest radio single "Mirror Mirror" hit the #1 spot on the Radio Music FM Top 50 Chart! This milestone is our group's first #1 song, and we are truly blessed and humbled! The song was released to radio on the January 2016 Daywind Music Group Comp Disc. Many thanks to RedHen Records Nashville and Daywind Music Group for believing in us and our ministry, and thank you to all the radio stations around the country playing "Mirror Mirror"!